DRDO CEPTAM 9 Tier I Result 2019 Announced On 29th March 2019…!! by the officials of the Defense Research and Development Organization (DRDO) on their official site. The Exam is conducted by the Centre for Personnel Talent Management from 15th to 18th December 2018. Many competitors attempted the exam with their great efforts. Accordingly, waiting for the CEPTAM 9 STA Final Result. Don’t worry, we had provided complete details in this article. A large number of eligible and desirous candidates appeared for the written exam for Senior Technical Assistant ‘B’ posts. The authority will take more than two months to finalize the selection of candidates. As you all know, the Defence Research and Development Organization has completed the Tier-1 Computer Based Test for the role of Senior Technical Assistant ‘B’. There is heavy competition for 494 posts. Also, candidates are waiting with much more patience for Cut Off Scores. The authorities will finalize the category wise DRDO CEPTAM 9 Cut Off Marks after checking various facts during the recruitment process. The candidates can find the CEPTAM 9 STA Final Result form the official website only. By checking the cut off marks given in the below sections, you can have an idea your main in the recruitment. We suggest all the candidates to regularly check our website for further latest updates. This table gives you an overview of the Centre for Personnel Talent Management 9 Senior Technical Assistant ‘B’ Result 2019. The attempters of the exam will be placed All over India if they were qualified in the Examination. Remember, before downloading the Result you can follow the steps which are provided at the bottom of the page. Scroll down for further details. In brief, Cut Off Marks are the minimum marks that a candidate should secure in the Written exam. These depend on the Categories and the number of candidates attempted the Exam. Down Here, we provided clear details of DRDO CEPTAM 9 Cut Off Marks like Minimum qualifying marks and its cut off marks based on the category. Candidates are requested to keep this in mind and utilize the chance. The DRDO CEPTAM 9 Merit List gives the list of the candidates secured highest marks in the CEPTAM 9 Written Exam. The CEPTAM 9 Merit List is released on the Official website only. Also, it consists of the merit candidates who are qualified in the exam and are promoted for further rounds of the Selection Rounds. Moreover, all the candidates need to log in and enter the required fields to check for the merit list. First, move to the official website of the Defense Research and Development Organization (DRDO) @ www.drdo.gov.in. Then, you will a home page on the screen. Click on the Link of CEPTAM 9 Recruitment 2019. 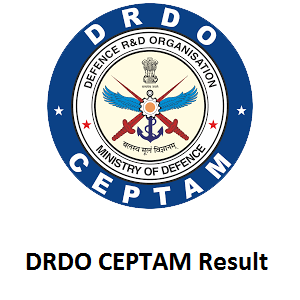 Next, search for the DRDO CEPTAM 9 Result 2019 link and click on the link present on the page. Fill the required fields like Name, Registration Number, password to get your CEPTAM 9 STA Final Result. After, you will find a new page with the list of selected candidates. Find for your Roll number and collect the Rank Card which is displayed on the screen. Also, you can make copies of it for future use. Finally, the detailed information of the DRDO CEPTAM 9 STA Final Result 2019 is useful. Candidates can download the Result as well as Merit list form the official link which is given above in this page. Also, remember, that the release date may be in the months of February and March 2019. Keep in touch with us, we will notify every update to you. Don’t forget to bookmark Freshers Now.